Hailed as one of the jewels in the crown of the BeeCOS Software Framework, Business Groups Relationship Manager puts unbelievable potential into your organisation's website, intranet or extranet presence. Currently businesses do not have the capacity to develop sustainable one to one relationships across their entire customer and client bases. This is usually due to a lack of human resources and available technologies. Business Groups Relationship Manager solves this problem. Through the creation of segmented customer and client groups you are able to filter specific information to individuals with ease, and to do so en masse. These unique memberships enable you to match products and services with customers and clients. You can create and modify these User Relationships as you go, ensuring up to the minute currency and relevance with your customers and clients. Unique levels of e-relationships and information relevance can be achieved in a hundredth of the time it would normally take you using other currently available software frameworks. Develop unique relationships with each individual user with ease and en masse, without the need for expensive IT specialists or large resource requirements. This leading relationship management engine integrates seamlessly with all other BeeCOS software framework modules. 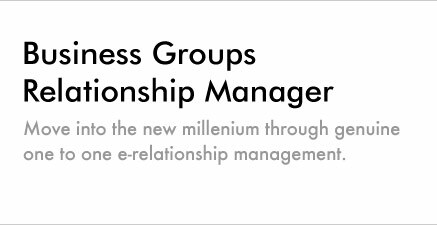 Business Groups Relationship Manager is a must for any business that wishes to provide its customers and clients with a higher than "normal" level of product and service delivery. Through the differentiation of electronic information, businesses are able to match products and services with each customer's or client's individual interests and requirements. 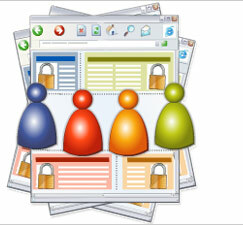 Specific e-relationships are the next step for any business website strategy. We believe the future will deliver greater meaning for your customers and clients as a result of well-implemented one to one and one to many customer e-relationships. Creating tailored sustainable relationships with your customers and clients is the next step for any business. If you are not already gaining significant benefits from better relationships with your customers then you should discuss this potential in detail with a BeeCOS Business Consultant.